The South-Korean technology Samsung has started sending media invites for the next Unpacked event. "Do bigger things," Samsung's upcoming event is expected to announce the Galaxy Note 8. 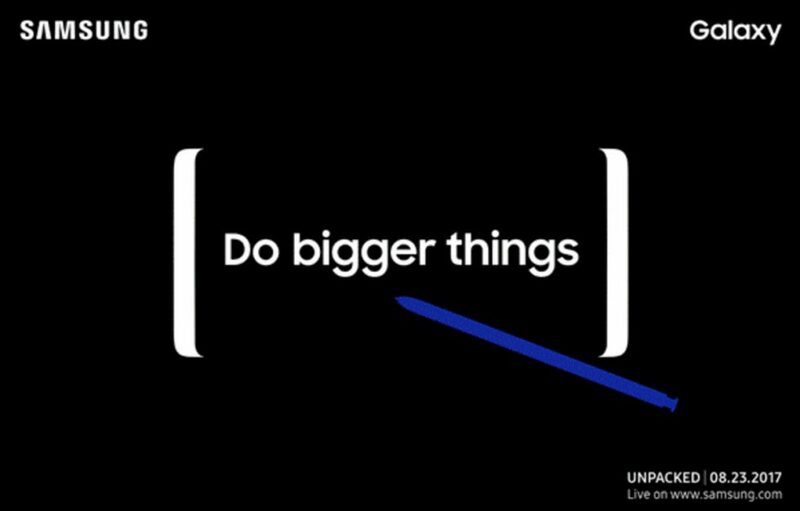 Samsung has officially announced it will host a Galaxy Unpacked event on Wednesday, August 23, 2017. The unveiling is set to take place at the Park Avenue Armory in New York City at 11:00am EST and Samsung will also stream it live through YouTube. The Samsung Galaxy Note 8 will come with the stylus (S – Pen) and as per rumors it will feature a 6.3 inch Quad HD+ screen, something similar to the S8 series.